I am so proud to a part of Pod Children’s Charity. The name POD came about through the seeds of FUN, MAGIC and LAUGHTER being contained within a POD. POD Childrens Charity was founded in 1977 by David Jamilly who remains Chair of Trustees. 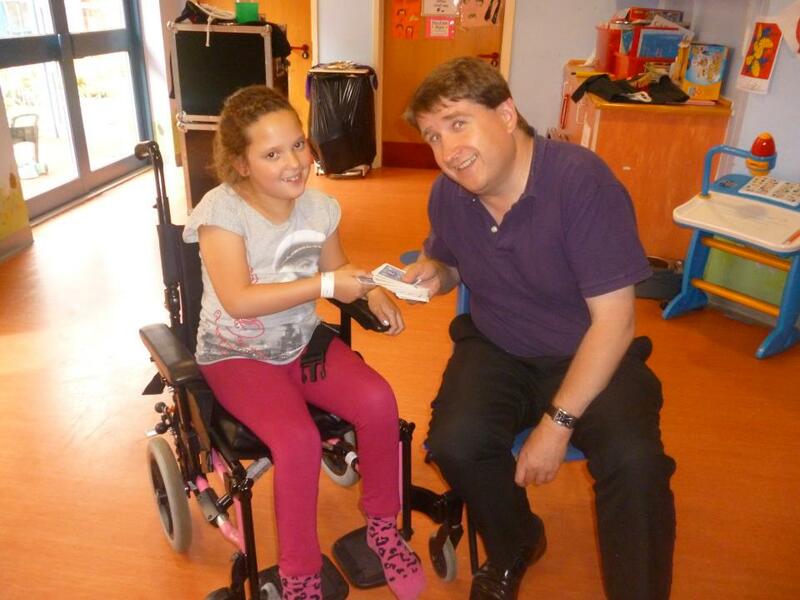 POD Childrens Charity is a nationwide charity which organizes entertainment for children in hospital. As an entertainer for Pod I visit 5 different hospital during the month doing a total of 9 shows, these are a mix of shows in a hospital play room or balloon modelling and magic working bed to bed around the wards. 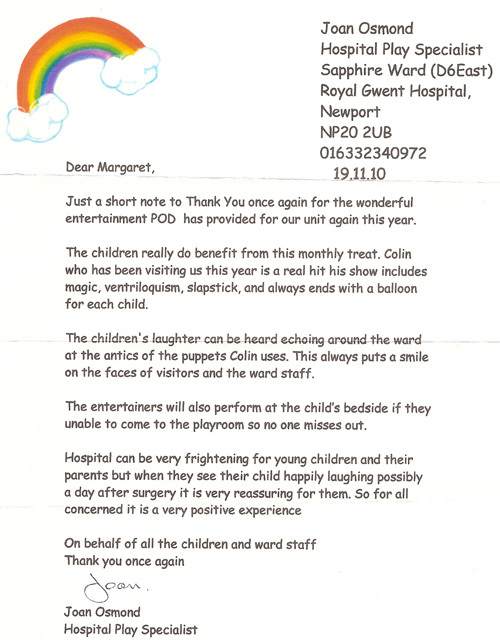 For some children a stay in hospital can be traumatic, for some who are in for a long period of time, it can be boring! A few moments with an entertainer can brighten up their day or help them through a hard time.